CONDITION REPORT: Like New. Full set with box and papers. The albino dial has turned to light cream color over time. 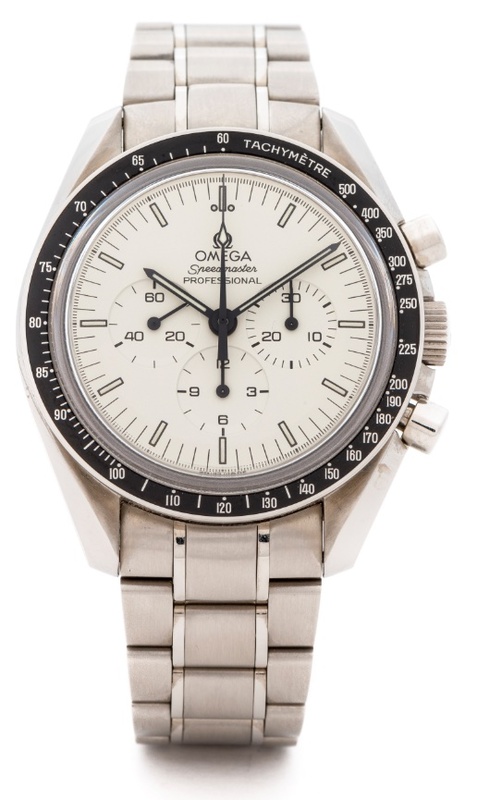 This watch has been verified by us with Omega to be a correct 3593.20 delivered to Italy. This limited edition of 500pcs watch was released in 1997 for the Italian market only. The watch features a unique "albino" cream dial with black hands. This was one of the first Moonwatch models to receive caliber 1863 movement as well as luminova dial and hands (tritium was discontinued in 1997). This is also the first sapphire crystal sandwich moon watch before the 3573.50 reference.